Inlet Gas Pressure: 5.0" to 10.5" W.C. 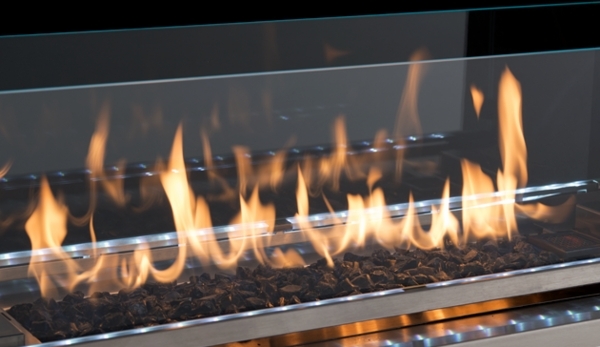 The Superior 36 Inch Vent-Free Outdoor Linear Gas Fireplace will brighten up any outdoor area its placed. Made out of stainless steel, this fireplace endures long-lasting outdoor use. A glass deflector shield protects your flames from winds, and there is also mood enhancing interior RBG-LED lighting. 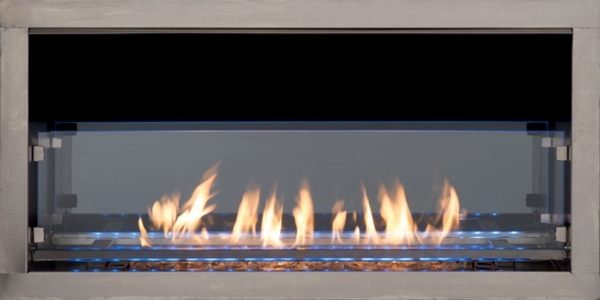 This black standard fireplace, available for natural gas or propane, can be either a single-sided fireplace or have a see-through configuration. 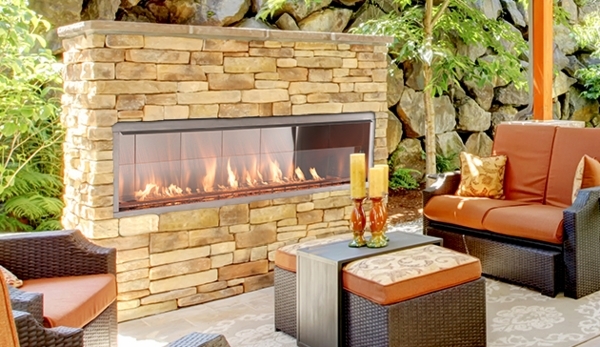 This fireplace will thrill and enthrall any visitors to your outdoor space.